Forbes Magazine ranked Barbachano International #34 in the country and amongst the top 7 in California. To determine America’s Best Recruiting Firms, Forbes partnered with analytics firm Statista. The market research company surveyed 25,000 recruiters and 5,000 human resource managers and job candidates who had worked with recruitment agencies, collecting more than 17,000 nominations from which to select America’s top firms. 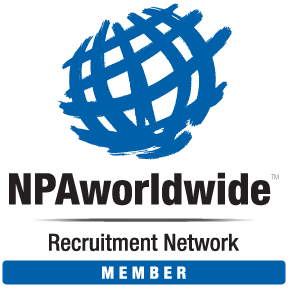 Headquartered in Chula Vista, California, Barbachano International (BIP) executive recruiters focus on the following functional practice groups: Executive Management, Sales & Marketing, Accounting & Finance, Manufacturing, Engineering & Quality, Supply Chain, Information Technology, and Human Resources across diverse industries. For the complete Forbes America’s Best Executive Recruiting Firms of 2019 List click here. Barbachano International (BIP) is the premier executive search leader in Mexico, Latin America, and the USA with a focus on diversity and Hispanic target markets. Since 1992, BIP and its affiliates have served nearly 50% of Global 1000 Companies. Our talent solutions are delivered by bilingual and bicultural executive recruiting experts with in-country experience in Mexico, South America, United States, and Canada. Outplacement and Executive Coaching services are provided in Mexico by our sister company Challenger Gray & Christmas S.C. In addition to our corporate offices in Mexico and the USA, we are supported by our partner offices in Brazil, Argentina, Colombia, Peru, Chile, Ecuador, Paraguay, Uruguay, and throughout Canada, Europe, Asia and Australia. Company Name: Barbachano International, Inc.